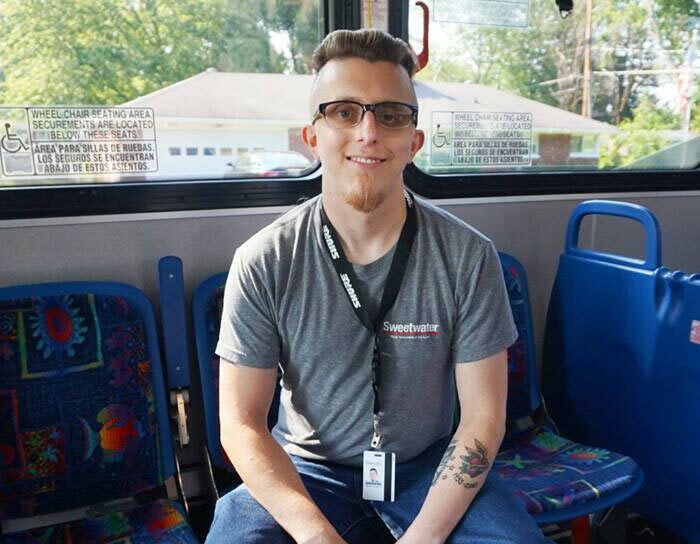 Samuel, 31, has worked at Sweetwater for over three years and rides Citilink four to five times a week. He has been a rider since 1995 and uses Citilink to hangout with friends or his girlfriend. If he could change one thing about Citilink it would be "that some of the buses showed up every half hour instead of every hour." Thank you for riding, Samuel! 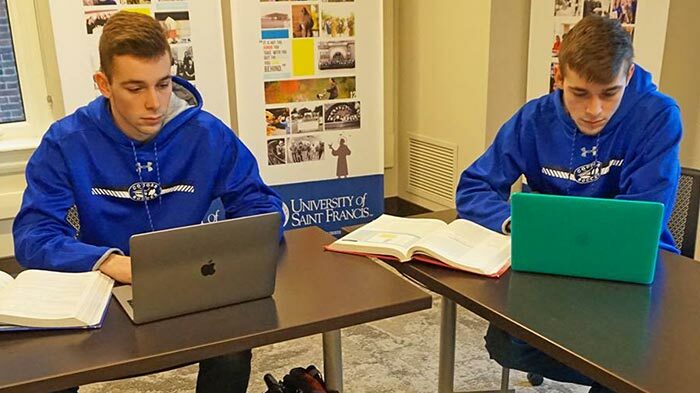 Kyle and Alex are twins attending University of Saint Francis - Fort Wayne, IN. They are both majoring in accounting with a minor in finance. Kyle loves Cougar Express because "it's convenient. It will get you to class on time. There are designated times you can ride and if you are low on gas, you can hop on Cougar." Alex adds, "I love how the seats are set up on Cougar Express so that if you have friends with you, it is easy to sit around and talk. I love going to school here. The classrooms are small enough that it allows you to have a one on one relationship with your teachers. I also love being downtown. I went to the Fort Wayne New Year's Ball Drop and can't wait for Fort Wayne TinCaps season to begin!" 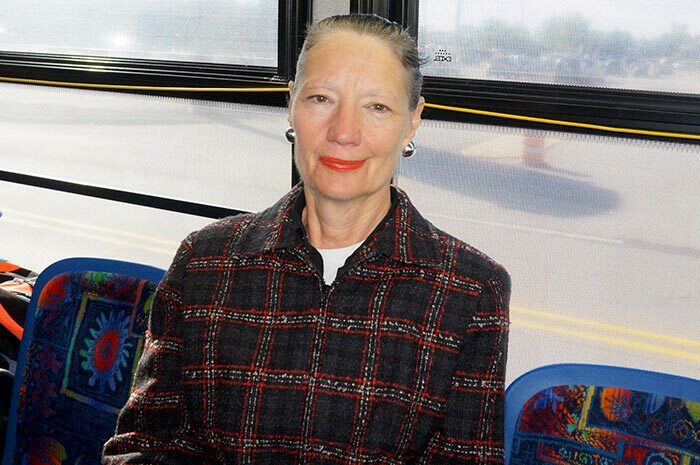 Judy has been riding the bus for decades. 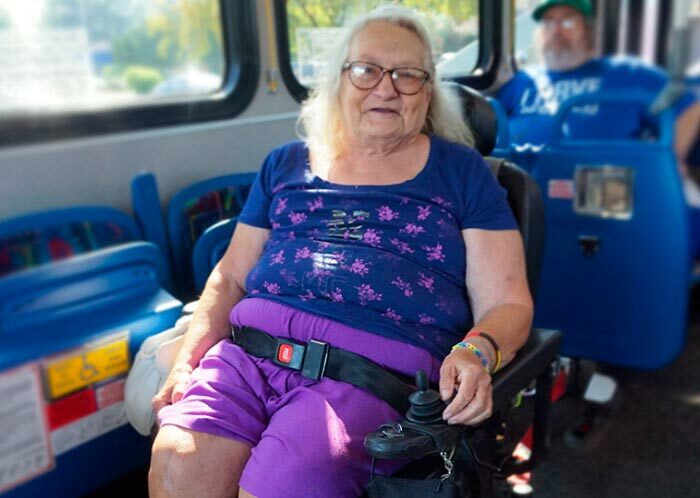 "It's easy to ride the bus being in a wheelchair. There is a ramp and seats that flip up for me. I use Citilink five days a week to get to everywhere from Wells Street to Broadway to Georgetown. I also use it to do my therapy at Parkview." Thank you Judy for riding with us and always having a smile on your face! Morgan and Jessie are both 21 and students at University of Saint Francis - Fort Wayne, IN. Morgan is majoring in graphic design with a minor in photo and a concentration in web design. Jessie is a graphic design major and photography minor with a concentration in illustration. Morgan loves Cougar Express "because of how comfortable the seats are. It takes me to Fort Wayne Museum of Art so that I can explore the art and try to figure out what it means to me." 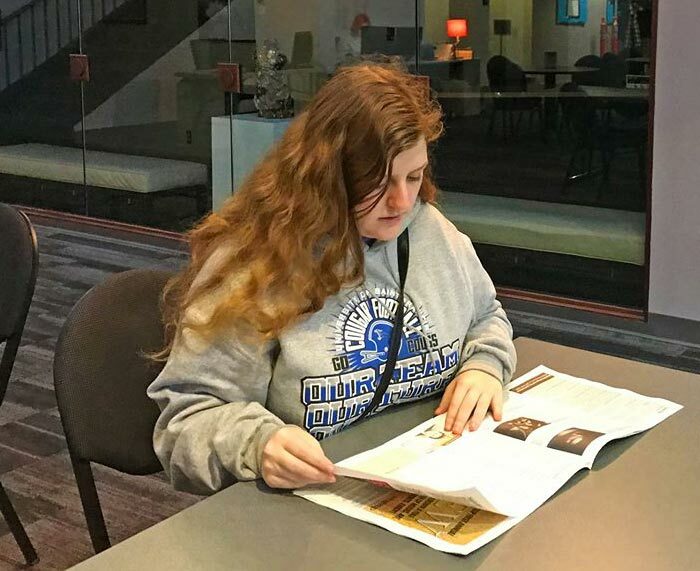 Jessie adds, "I love going to FWMoA because it helps me to connect with my creative classes at the University of St. Francis. I love going to school in Downtown Fort Wayne because it is inspiring. All of the Art This Way murals make me feel so happy. Cougar Express allows me to see all of this and gives me a great sense of community." Heather rides often to visit her father. "It's the main way that I get around town on weekdays. I have been riding for a long, long time and ride often." When we asked her the one thing she would change about Citilink if she could she said, "I wouldn't change anything. I think it's been really good." We appreciate you, Heather! Enjoy the ride! Miranda is 20 and majoring in music technology with a concentration in audio for creative arts and a minor in META at University of Saint Francis - Fort Wayne, IN. She loves downtown "because I can spend time with my family here. My grandfather has told me so much of the history of Downtown Fort Wayne from growing up around here. Being downtown and going to St. Francis is awesome because we are like a family. There is a closeness here and that is what brought me here. Cougar Express is also great because it can take me to places like Artlink or Pembroke Bakery & Cafe. I love the Cougar Express driver. He's very kind and considerate." 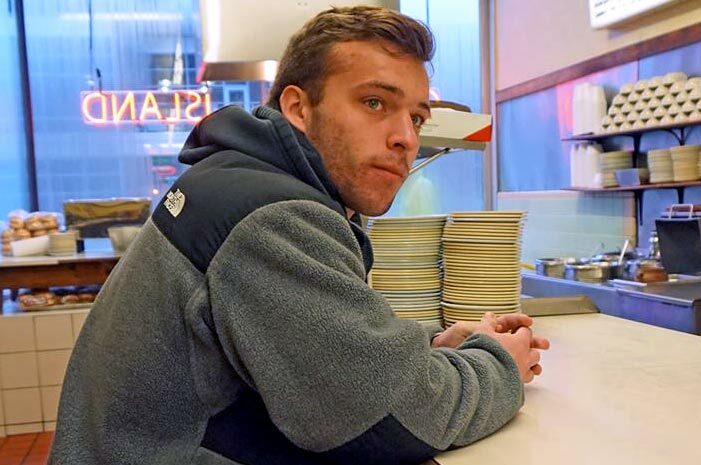 Matt is 20 and majoring in marketing with a minor in META and graphic design at the University of Saint Francis - Fort Wayne, IN. He can ride Cougar Express to Fort Wayne's Famous Coney Island where he loves the "tradition of Coney Dogs because you can't beat the prices and the great food. I love how much Downtown Fort Wayne is coming together and growing. There's a lot to do here. St. Francis is just small enough to meet everyone and know everyone at school. I love that all my teachers know my name. 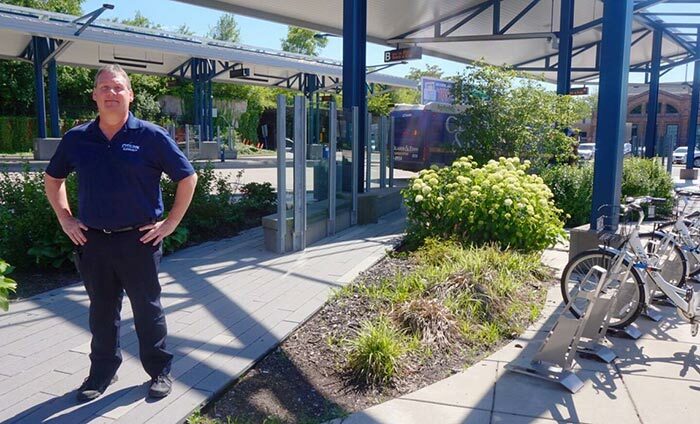 My favorite things about Cougar Express is that it's small but still felt less crowded than the larger Citilink buses." When our passengers tell our drivers "thanks, you're a lifesaver" sometimes they really mean it. 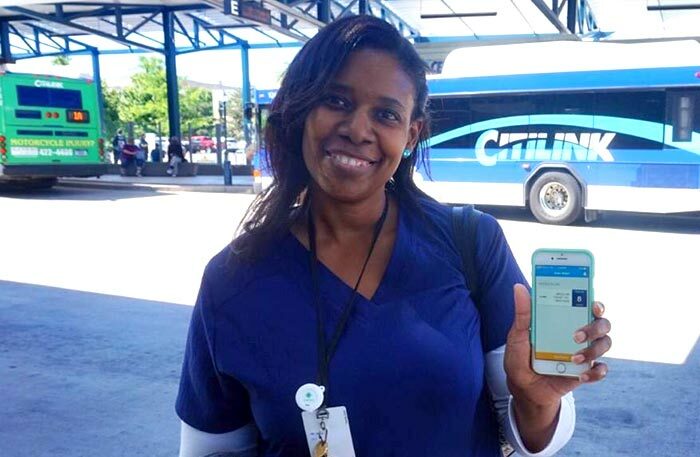 Because of Citilink Access driver Lavonne, Cary is able to say thanks. Yesterday morning our driver noticed that Cary's dog was barking & scratching at his front door. Cary is usually ready & waiting for his trip so Lavonne suspected something was wrong. She reported this to Citlink staff, an ambulance was called and they found Cary unconscious on the floor. Cary's father called to let us know he was doing much better. Thanks, Lavonne for going the extra mile - you are a lifesaver! Sarah is 19 and majoring in marketing with a minor in META at University of Saint Francis - Fort Wayne, IN. She can ride Cougar Express "to work out at the downtown YMCA. I'm an athlete and play soccer here. I love working out with other people. I love that the downtown YMCA has group classes or the option of just the gym. It's the best of both worlds with great prices because of my student discount. I love Downtown Fort Wayne and want to stay in Fort Wayne when I graduate. I could go to New York or Chicago but I love being part of what Fort Wayne is becoming, and being part of the change. Coming here from a small town makes this feel like a big city. I like that it is convenient. You can make it your own, and go where you want because downtown is flexible. My favorite thing about the Cougar Express is seeing my friends on there or people you don't have class with." Michael is a refugee from Ethiopia, and his family was sponsored by Catholic Charities 43 years ago. He was in sales until he was no longer able to drive three years ago. Medicare/Medicaid used to pay for his transportation but when they stopped covering it last year, he switched to Citilink. Michael loves the Citilink drivers and enjoyed meeting one of our newest drivers, Leshia. He was also excited to learn that he won the drawing for a $25 gift card for completing a Citilink rider survey! Congratulations, Michael! 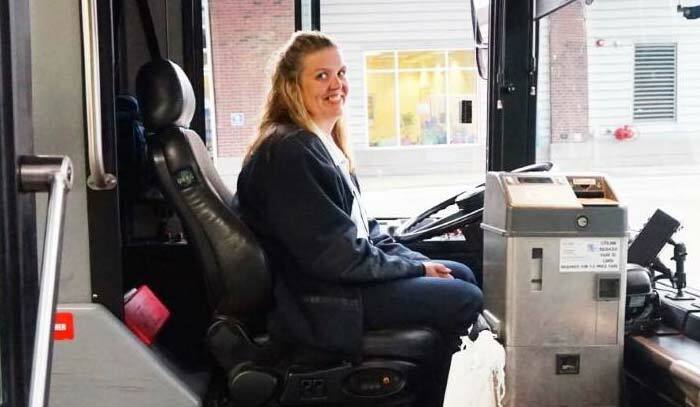 Carissa has been riding Citilink for two years about five times a week. 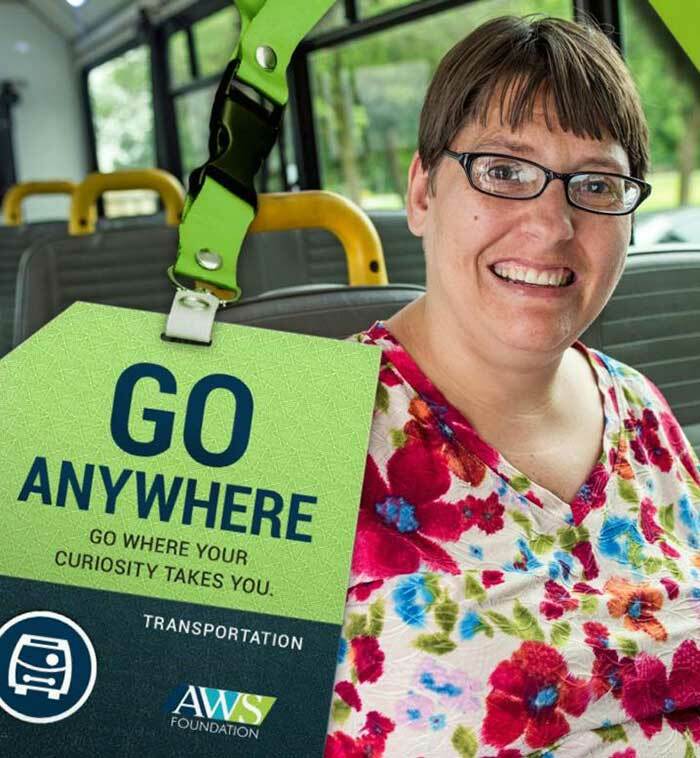 She has used public transportation to go to class at Ivy Tech where she will be graduating in 2020 in Software Development. Carissa says. "I find Citilink convenient for helping me get to where I need to go. My favorite part is the online app that I use to buy my tickets. It's quick and easy." 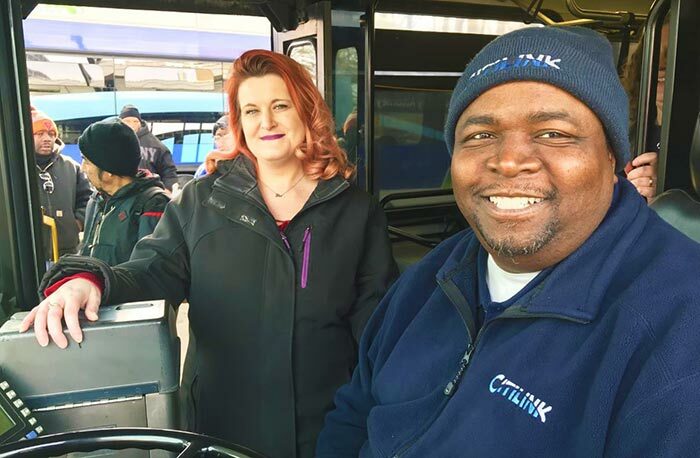 Angela and Geoffrey have known each other for over 6 years and fell in love last year thanks to their Citilink connection. They ride Citilink Access to Turnstone Center for Children and Adults with Disabilities where they workout regularly. They both agree that they love Citilink not just for the convenience but because the drivers have the best sense of humor and often make them laugh. May your love continue to bloom, Angela and Geoffrey! Donna and John Waters fell in love on Citilink Bus #6 in April, 2008. They married in 2010 and today they have 3 beautiful children. Donna, an author, loves that John works for Citilink. "He has a big bright smile and every hour he gets the chance to make someone's day brighter." John has worked at Citilink since 2005 and calls it the "best job ever." He told us that his favorite thing about his wife is her "heavenly blue eyes." May 17 is National Public Transportation Career Day! 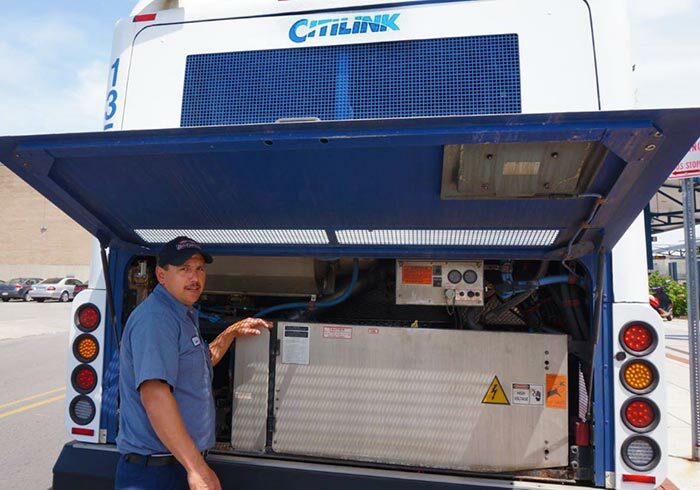 Today we are featuring Carlos, our technician that works on all of the Citilink buses at the shop. He has worked at Citilink for three years and is following in the footsteps of his uncle Salvador that worked at Citilink for 27 years. "Every single day is different. I do a little bit of everything from repair and body work to snow removal and salting the sidewalks in the winter. My favorite area to work in is repairs. Body work is my specialty. 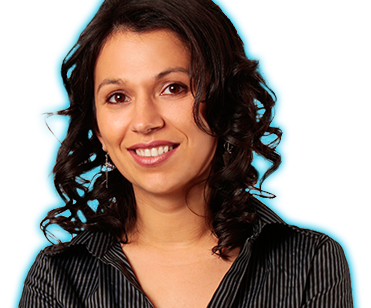 This is one of the best jobs I have ever had and I am really happy to be working here." Needless to say, Carlos always make us look good. Thank you, Carlos, for all your hard work! Mike has been working at Citilink since 1999. He handles everything from accident investigation to making sure that riders have a safe and positive experience. He is a former driver and EMT (and has even saved a few lives while on duty). Thank you for all that you do and your commitment to Citilink, Mike! 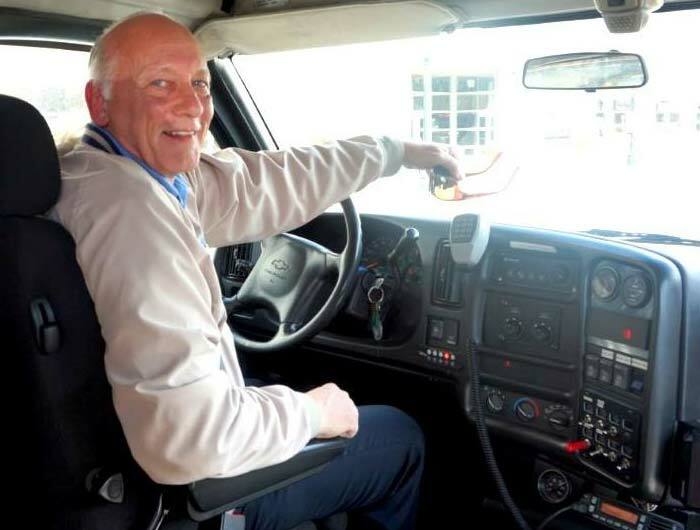 This is Quinton who has been driving professionally for 37 years. 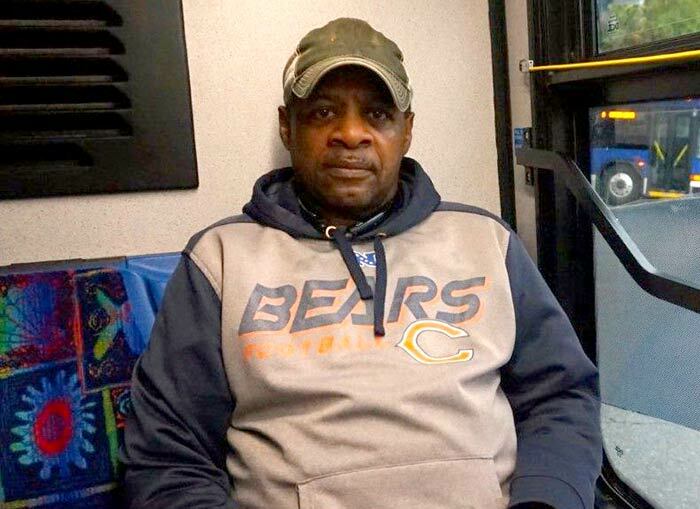 He makes sure our passengers arrive in Chicago safe and sound every single day via Miller Transportation. You can take a bus from our Central Station in Downtown Fort Wayne to Chicago (just south of the train station) any day of the week. Ticket prices fluctuate between $35 and $48. Dawn has been working at Citilink for 10 years and assists with customer service at our Central Station in Downtown Fort Wayne. Thank you for all that you do, Dawn. We appreciate you! 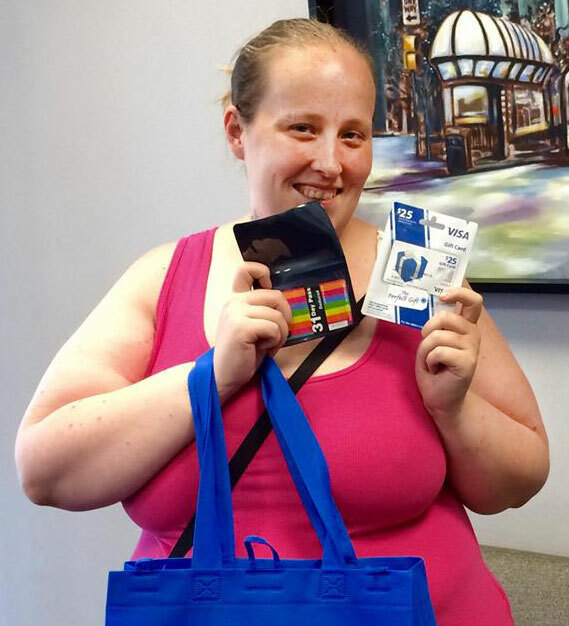 Citilink's Pecola was recently commended by Susie, a Greyhound customer, for assisting with a ticket purchase. When Susie called in she could "hear Pecola smiling in her voice and was so impressed with her kindness and level of customer service." Next time you see Pecola at Citilink Central Station, make sure to give her some love. We appreciate all that you do for us Pecola! 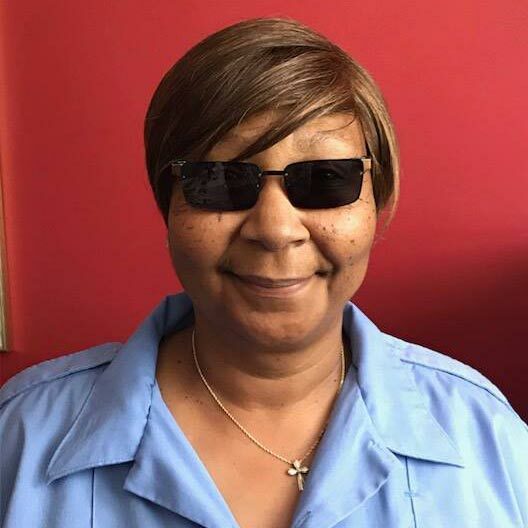 Regina Harmon has been riding the bus for ten years and rides with us about ten times each month, typically riding the Flexlink bus to Lutheran. She likes that there are lots of bus stops and that she doesn't have to walk a mile to reach them. If she could change one thing it would be to have a bus stop right by her home that arrived every half hour. Veteran and Citilink rider, Mark Brewster, served from 1985 - 1992 in the Army. He was stationed in Germany and truly appreciates when people thank him for his service. He uses the bus to go to the VA and it allows him to bring his bike so he can ride in other areas of the city. He told us that "There are so many places I can't reach any more by bike alone, and being able to combine bike and bus is awesome!" We thank you for your service, Mark, and love having you as a regular on Citilink! Thank you to all of our veterans! When the AWS Foundation asked us to recommend someone who relies on Citilink Access to feature in their Annual Report we thought of Torri. We take her to work and back home most days, which allows her parents to get to their jobs on time as well. We are all grateful for AWS Foundation's continued support, without their assistance Citilink Access would not have been able to absorb the double digit increase in ridership the past few years. Fort Wayne Citilink celebrates 50 years of service! 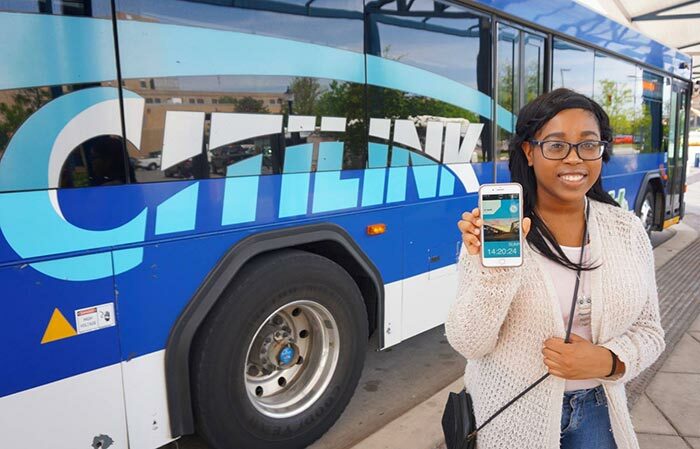 Fort Wayne Citilink celebrates 50 years of service and has asked our community partners to share how important public transit is to them and those they serve. This segment features Jerrilee Mosier, Chancellor at Ivy Tech Community College Northeast. 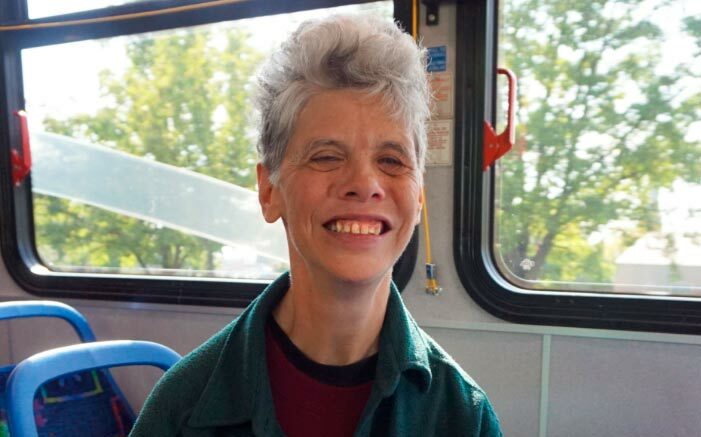 Get to know Connie, she has been riding Citilink for almost 30 years for her personal needs and to get to work. She loves Central Station and how it keeps her warm in the winter and cool in the summer. If she could change one thing about Citilink it would be for longer and more flexible hours on Saturdays. Thank you for riding, Connie! 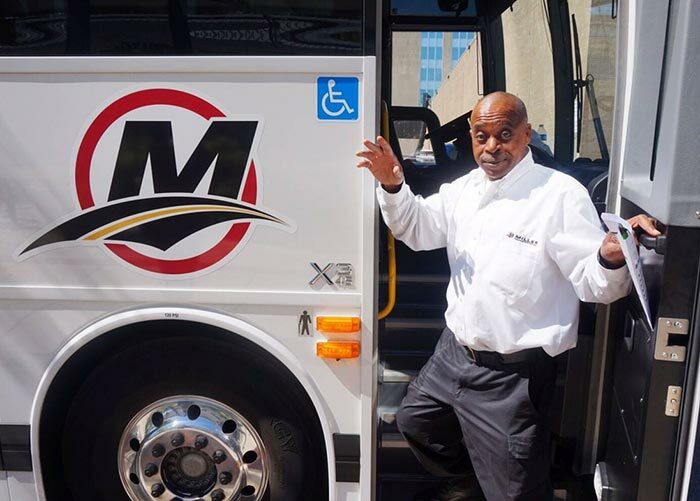 Char Glenn has been riding Citilink for 40 years for both work and personal transit needs. Thank you for riding with us, Char! 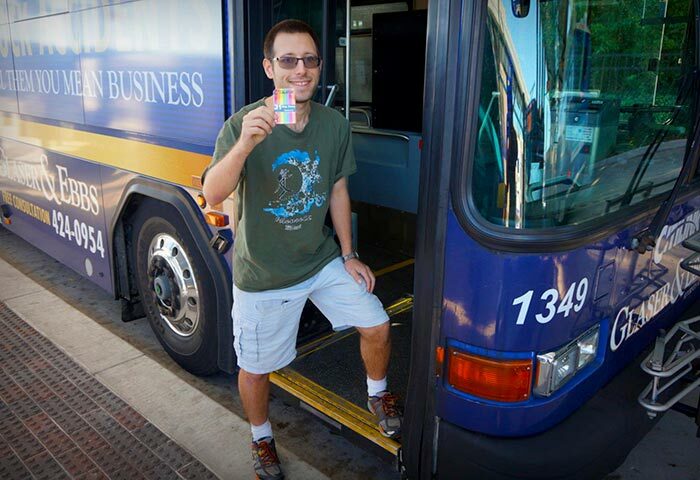 Say "hello" to Thomas Beckstedt who has been riding Citilink for over 5 years. He rides the bus for "Work. School. Basically everything." 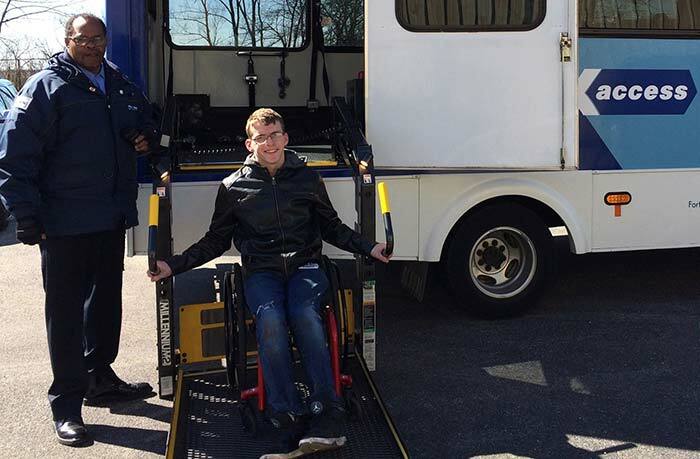 Thomas likes Citilink because it allows him to "make cool friends and learn the best routes by getting to know the bus drivers better" and really appreciates how "great the buses are for people with disabilities." If he could change one thing, it would be to have even more buses downtown to give everyone more access and options for riding. Thank you for riding with us, Thomas! 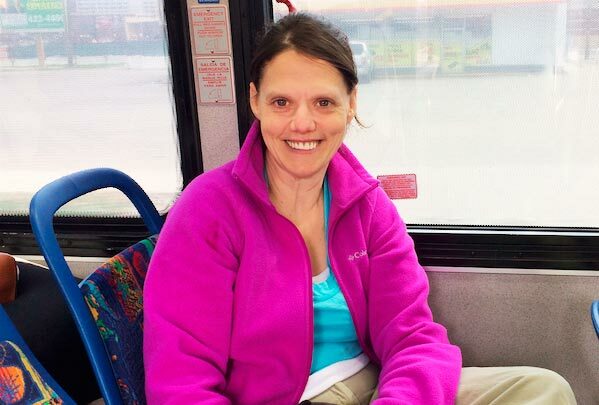 Get to know Bethany who has been riding Citilink for close to 7 years. She knows many of the other riders and drivers; her favorite is "Big John". 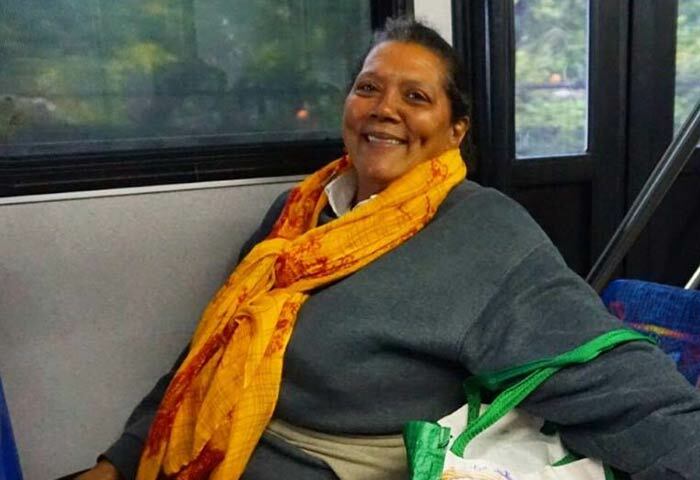 She often rides the bus across town and shared "I wish it didn't take so long but I'm glad that it gets me where I need to go." Say hello to Jacob Ganser and Kylin Bass from USF. 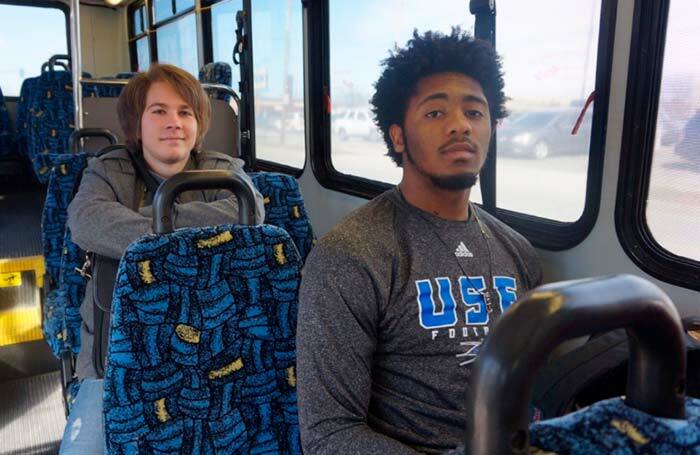 They take our Cougar Express to help with gas efficiency, and easy access to University of Saint Francis - Fort Wayne, IN classes in Downtown Fort Wayne! Transit Driver Appreciation Day is Saturday, March 18. Thank you to all of our drivers that dedicate themselves to service including Tom Pfefferkorn who has been a driver for 37 years! We appreciate all of you! Tyler uses Citilink Access to work at Fort Wayne Metals three days a week where he runs a drill press for the shipping and handling department. He has taken Uber to work once and it cost $20 for a one way trip. 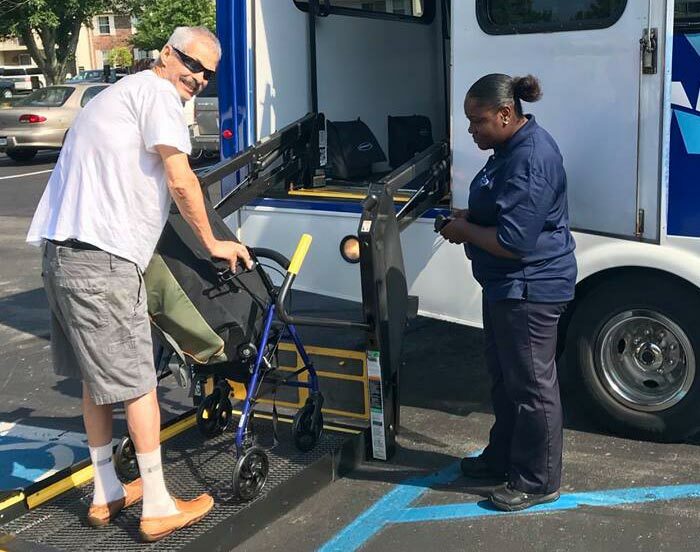 He feels that even though Citilink Access is not as convenient, it is much more affordable ($2.50/trip), and he appreciates Citilink drivers like Chris that are "friendly and helpful". 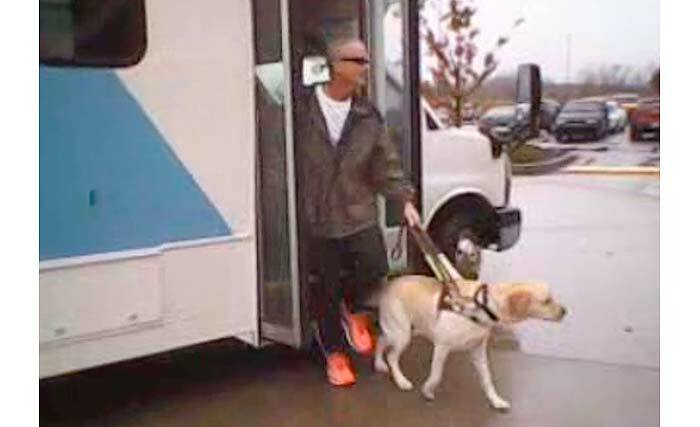 Jim and his leader dog Mica use our Flexlink Route 21 Bus to work out at the Parkview YMCA and the new Turnstone Plassman Athletic Center. Jim wants everyone to know how important Citilink is to him: "It provides me the freedom to go to work and to work out on my own, with Mica of course. Not everyone has a visible challenge, Citilink is there for anyone who needs a lift." Thank you for riding, Jim! Welcome aboard! 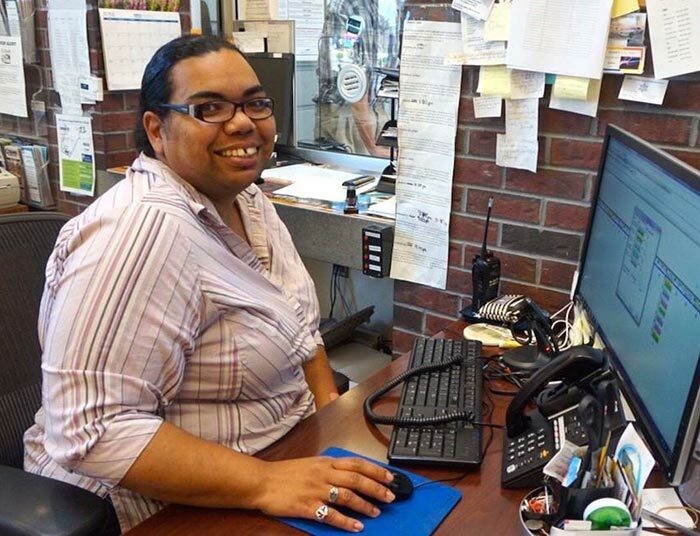 Sheila has been a Citilink driver for many years; her mother is also a Citilink driver and so was her grandfather. Many Citilink staff have a long history of service to our community. 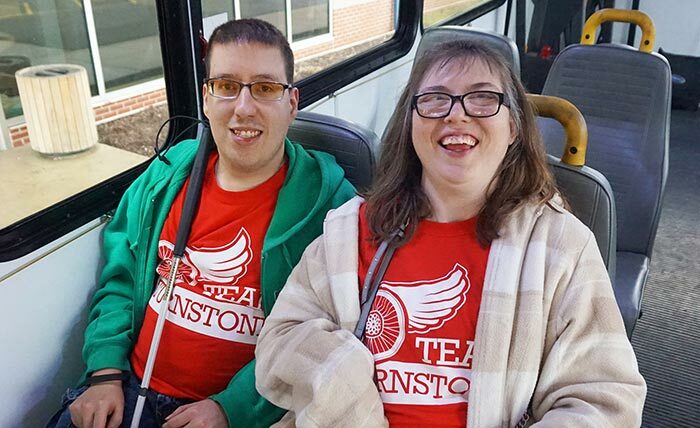 The connections that riders make on the bus get them where they need to go, and sometimes it feels like family. Get to know Luke. He rides Citilink every day to work, to run errands, and to attend choir practice. 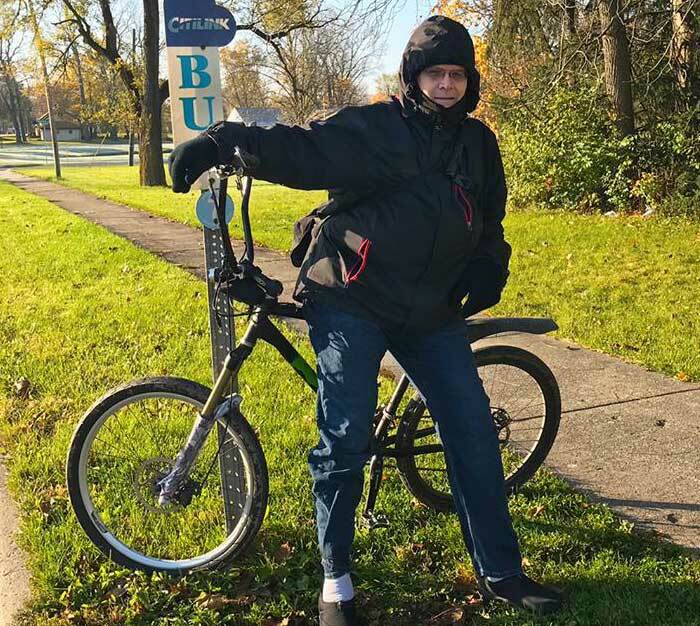 He has been riding for over 3 years now and loves it because "it goes just about anywhere that I need to go, but would love for it to someday run on Sundays and later at night." This is Alexandria. She is 24 and has been riding Citilink for the last 3 years. 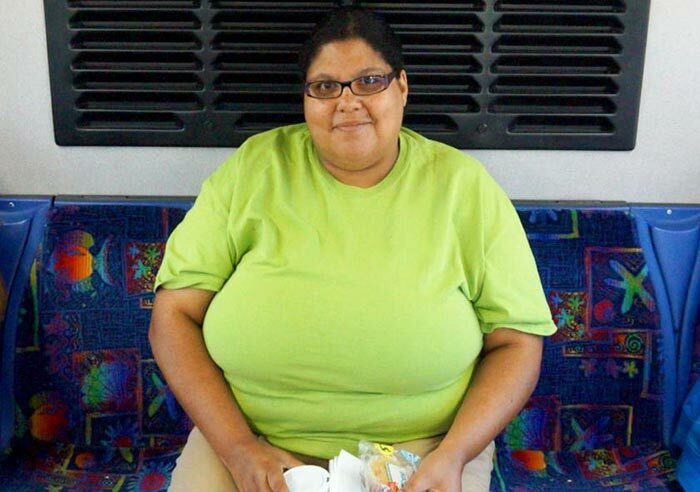 She uses the bus to "get to work or just about anywhere". 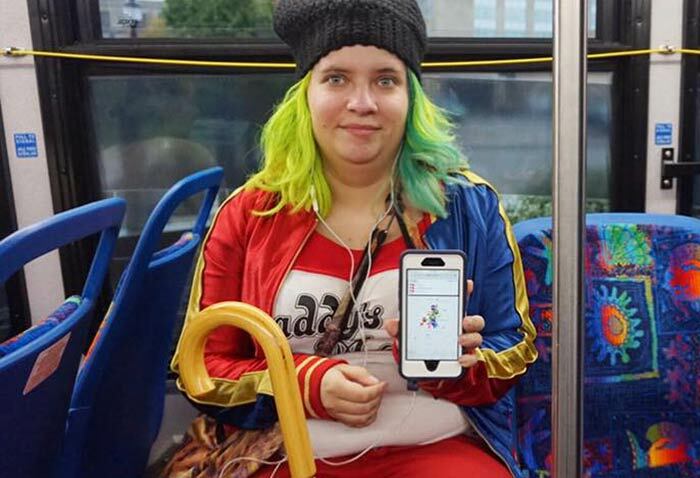 She usually gets on the bus early to make sure she isn't late for work and loves using the RouteWatch map on her phone "all the time" to know where her bus is at. Thanks for riding with us, Alexandria! 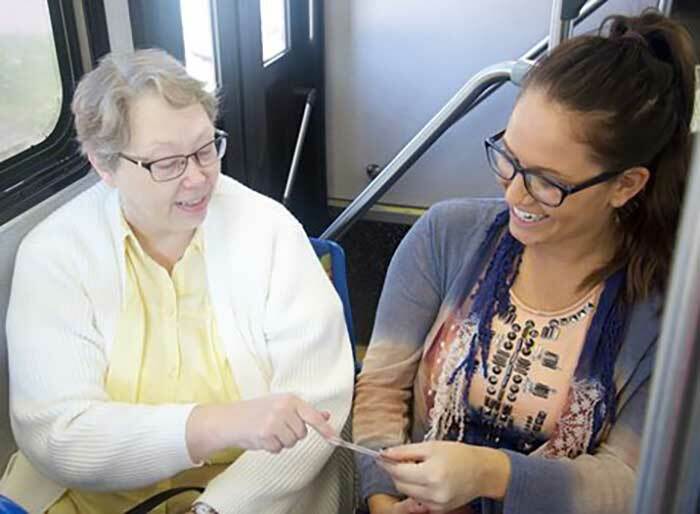 Meet Kaitlind, 24, who has been riding Citilink for years. "The bus is always clean. I have been riding it since I was 16 without a problem. I ride about five days a week to get to work and usually buy the month pass." Thank you for sharing your story with us, Kaitlind. Your smile would brighten anybody's day! Meet Larnell. He rides Citilink about once a week. 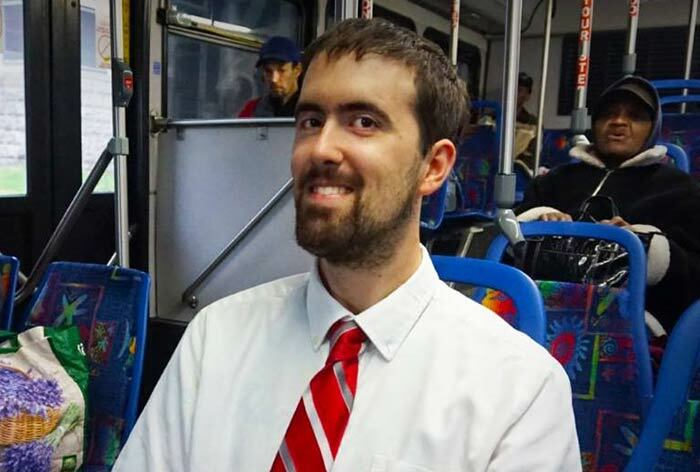 "I mostly use the bus for work so my wife can have the car." He tells us that he enjoys Citilink mainly for the "convenience and easy use". Thank you for sharing your story with us, Larnell! Get to know Donna. She moved to Fort Wayne from Chicago to be closer to family. She rides Citilink regularly and told us about the affordability of Fort Wayne when compared to Chicago. She told us that she has "enjoyed Citilink and the really nice people here." We are lucky to have you, Donna! 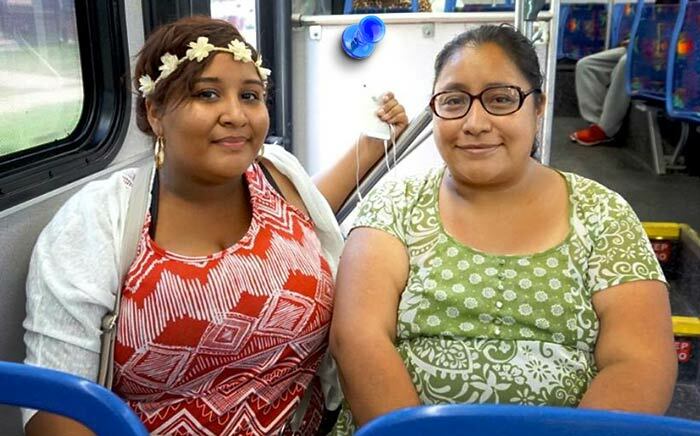 Get to know Rudy and Carmen who became friends while riding on Citilink. Rudy has been riding the bus while her car gets fixed and called this a "good experience". 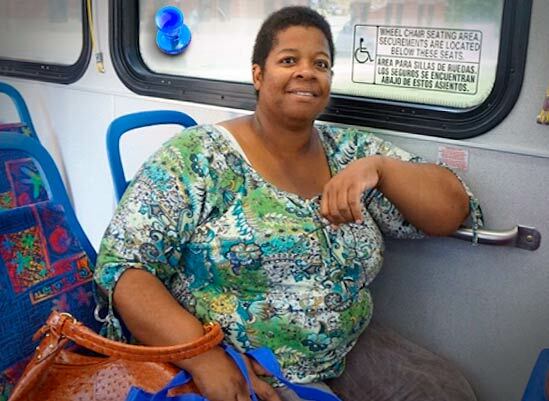 Carmen has been riding the bus with her 3 girls who all found the trips to be "exciting". 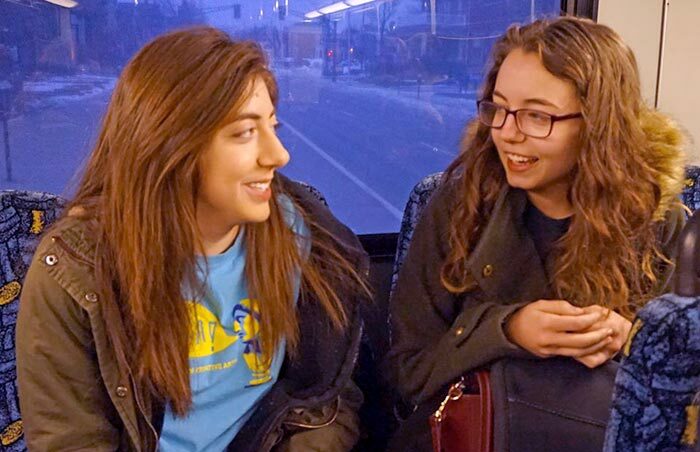 We love seeing friendships blossom on the buses! 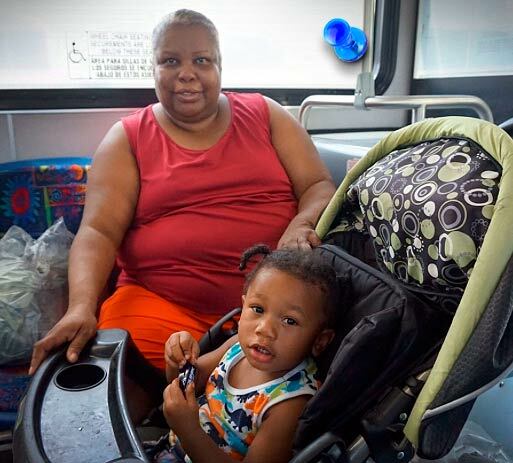 Cheryl (pictured with her grandson Brandon) has been riding the bus her entire life. She doesn't drive and uses the bus everywhere she goes including shopping, the zoo, the dentist, and trips to Wal-Mart. Thank you for sharing your story with us, Cheryl! 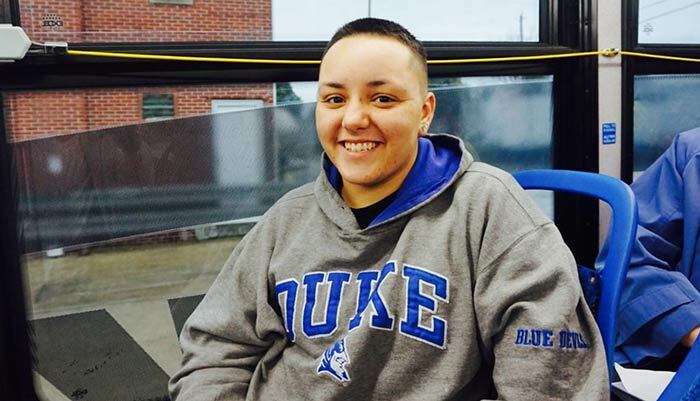 "I've rode the bus since I was in eighth grade. I have found that in any situation I can count on the reliability of the Citilink bus routes. The cost is efficient for any income level. Anytime I ride, I know I am up for an adventurous time, whether it be conversation, sites, new people, whatever it may be a ride on Citilink never disappoints." - Amber Wilson. 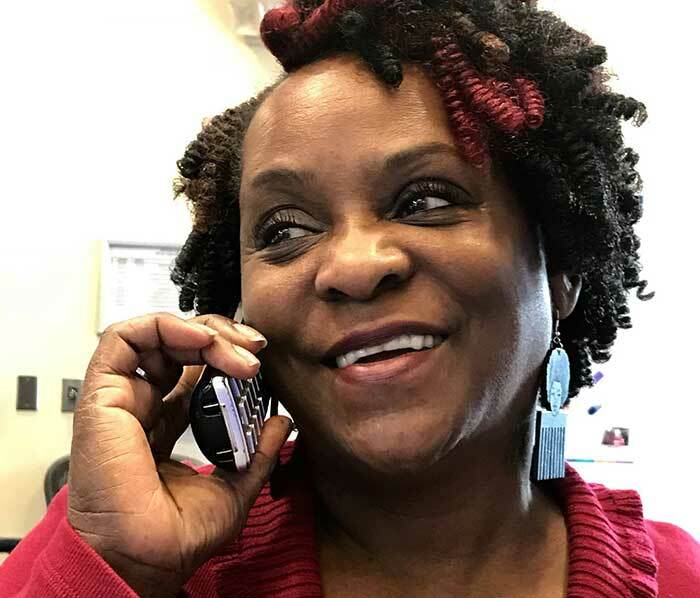 Ms. Wilson shared "I was glad to get the Facebook message (that she had won) because it has been a rough time lately and I was glad to get some good news for a change". 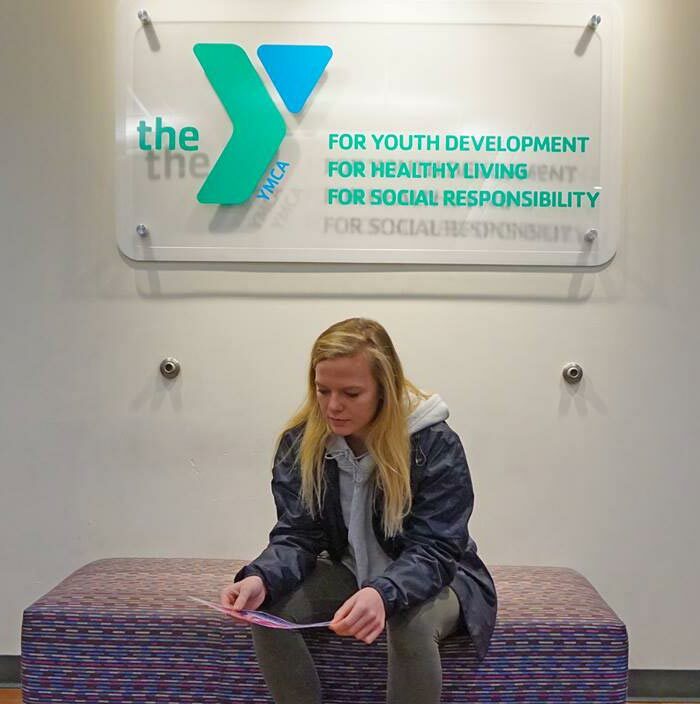 She plans to use the gift card to renew their membership at the Renaissance YMCA for the kids and looks forward to exploring more of Fort Wayne using the unlimited ride monthly bus pass. This is Ethel one of our long-time Citilink riders. She has raised two daughters as a single mother (and has 5 grand children) and worked hard to put her girls through school. She depends on Citilink to get her to work on time. She told us that "If I can do it, anyone can do it." Thank you for riding with us and sharing your story, Ethel! 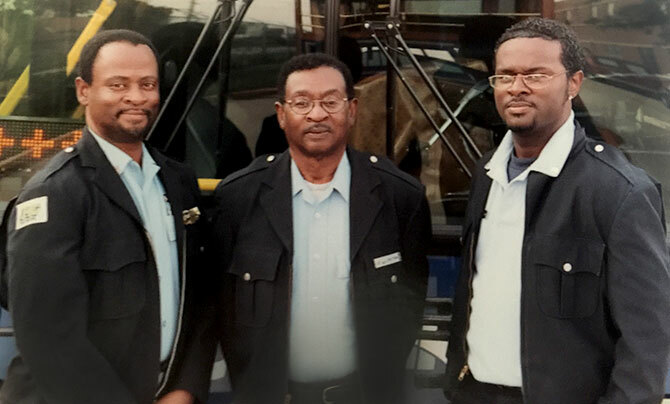 The Thomas family has produced three generations of Citilink bus drivers. Pictured here are L-R Richard Thomas, John Thomas & Richard Thomas, Jr. Richard, Jr. recalls; "Busses are in our blood, my Dad made buses out of old cereal boxes when he was a child and it was my childhood dream to be a bus driver."